was lying in his bed when the earth opened and swallowed him alive. A sinkhole had formed right under the bedroom floor, and in the end the surface burst. The attentive Floridian might have noticed the tiny cracks in the woodboards and how the steps, from the door to the sofabed, had begun to resonate in a sinister way. But Jeff hadn’t noticed – maybe because something else was on his mind. Maybe he was dreading life. Or stagnation. Maybe he was searching for himself and his inner voice. Maybe he was convinced that if he dug deep enough into this subject matter, he would find the real Jeff Bush, and with that, the reason for his nightly pain. In Synkehull (Sinkhole) the audience is invited to enter different kinds of holes. The aim is to find new, sustainable strategies for handling fear and anxiety, and possibly a bit of hope as well. After all, a hole is an opening! Kristinsdottir, Willyson, Børmark and Borchgrevink have previously worked together on the performance Forbrytelse og straff (Crime and Punishment), the last part of the theater trilogy Classics for Kids. As of January 2017 Hildur Kristinsdottir is an associated artist at Black Box teater for a period of two years. Hildur Kristinsdottir is a Norwegian director and actor. She has her education from the Academy of Performing Arts in Fredrikstad and she has a background from dance with an emphasis on breakdance. She premiered at Black Box teater in 2008 with the duo Søstrene Andrews and the performance Søstrene Andrews presenterer: Faen, verden brenner. In 2009 the duo also presented the performance Salt-N-Pepper serverer den tredje sjimpanse. Since 2010 Hildur has been working with the theater trilogy Klassikere for kids (Classics for kids), consisting of the performances Faust for kids(2012), To the Lighthouse (2013) and Crime and Punishment(2015). Concept, text and performers: Hildur Kristinsdottir and Eirik Willyson. Composer and performer: Magnus Børmark. Light and performer: Anders Borchgrevink. Outside eyes: Ida Gudbrandsen, Lisa Lie, Signe Becker and Saila Hyttinen. Photo and documentation: Kristinn Gudlaugsson and Damon Chan. 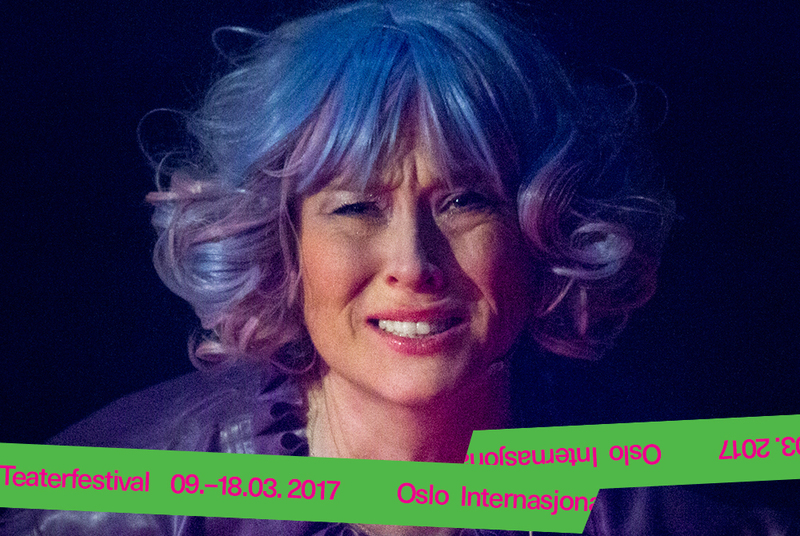 Supported by: Arts Council Norway, FFUK and Dramatikkens hus.